When you think of ‘basements’ you often think of the dark, damp place under your house, which is usually used for storage. Many basements throughout the UK are neglected spaces, and often fall well below the average when it comes to waterproofing and damp proofing. If you’ve had enough of your dark and dreary basement and are searching online for basement conversions in Bath, Biocraft South West can help. With over 30 years’ combined experience, Biocraft are the leading provider of damp proofing and basement conversions across Bath and the South West. Not only do we provide comprehensive basement conversions and damp proofing but we also offer impartial, expert advice to homeowners & businesses across the UK. 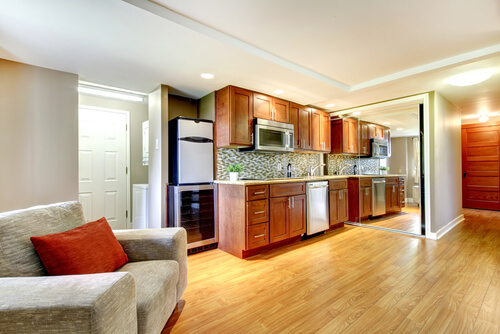 Below, you’ll find more information on our basement conversions in Bath. A surprising number of homes throughout the United Kingdom still suffer from poor or no waterproofing & damp proofing. With dampness being a leading cause of building defects here in the UK, basements are presenting ever increasing issues relating to moisture and water ingress in homes & businesses. Misdiagnosis & uninformed owners play a big part in identifying sources of moisture, and failing to do so often leads to further building damage that costs more to rectify. We cannot stress the importance of using a qualified, certified and experienced specialist when it comes to waterproofing and damp proofing your property. Over the last decade, architects and contractors alike have better understood the functionality & benefits associated with certain waterproofing techniques. This has led to cavity membranes being one of, if not the most popular and reliable method of waterproofing basements. If you enquire about basement conversions in Bath and have little to no waterproofing installed, it is likely that your provider will suggest cavity membranes. Cavity membranes are durable, studded plastic sheets which are specially fixed together to form a watertight seal. When waterproofing your basement, our specialists will install cavity membranes across the floors of your basement, in line with the results of the survey conducted. The membranes are then carefully sealed to the walls using a wall to floor junction – creating a water-tight seal. 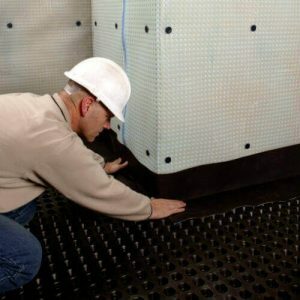 If any water or dampness penetrates through the floor, it is controlled by the cavity membrane with the small air gaps built between the studs of the membrane. Any water that gathers is diverted to the most suitable drainage point. This drainage system will be built into the floor prior to the waterproofing being installed. 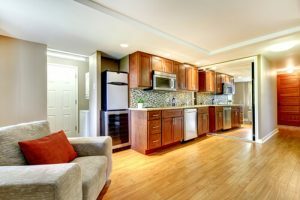 When conducting any basement conversions in Bath, the first step is always towards a dry and healthy basement. Once the most appropriate waterproofing techniques have been carried out (if necessary), our team will conduct further damp proofing on all areas of the basement that require such attention. Further damp proofing that may need to be carried out in your basement would include the use of cement-based coverings. These coverings are applied to inner wall coverings during early stages of building. Created using concrete admixtures (which is commonly used in newly constructed buildings), this specialist mixture will subdue any potential sources of damp, keeping your new basement dry and healthy for years to come. All our basement conversions in Bath are bespoke and carefully built to your exact specifications. Whether it’s an extra bedroom or a new office, our basement conversions can bring your home to life, giving you that extra living space. We’re one of the leading providers of basement conversions in Bath and have extensive experience in providing a full-service conversion, from initial design right up to the final build completion. For more information on our basement conversions, please call us today on 01793 272085.